Argentina rises as the new frontrunner in a game that Colombia and Mexico are only too happy to forfeit – as the New Narco State. But this new foray into ‘pharmaceutical manufacturing’ isn’t just feeding North American appetites as critics of the ‘American drug war’ policies often claim. 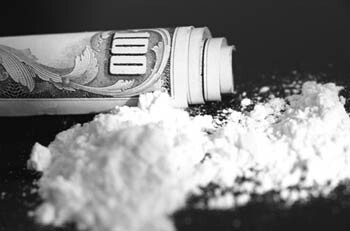 Not only that – but according to an article from 2009, these Argentine chemists have developed a new form of crack: a super cheap, readily available, highly addictive and smokable form of cocaine called paco. And it isn’t just cocaine – add methamphetamines and any other addictive or mind-altering substance that people have a taste for – it’s not only being shipped through Argentina, but it’s being manufactured in labs all of over country. Despite the massive amounts of money, resources and technology dedicated to controlling drug trafficking – these efforts often fail because the criminals have much of the same (or better) technology too. In the wake of the Summit, discussions on real solutions or alternatives to current practices are coming out in to the open – as Americans open their eyes to the real scope of the issue here. This isn’t just one country (far, far away as many people like to think). This is a multi-national problem extending far beyond the borders of just one country, or even just South America – and it has (forget moral) economic, and political implications for all of us. Not only that – but how do you continue to fight a war that has become more unpopular than Vietnam, in the midst of the greatest downturn in the American economy since the great depression? Readers: this editorial is no comment on living in Mexico, or Colombia – I am actually having the time of my life – and enjoy my time on both countries – this is just me – taking a minute to step away from medicine, surgery and medical tourism to take a look at the ‘big picture’ and the global events that shape our world. In more personal news – made the ‘Classnotes section’ of Vanderbilt Nurse (class of 2005) this month, alongside fellow classmate, Carrie Plummer for her efforts on the ‘war on drugs’. Kudos to Carrie – but somehow I doubt she’s enjoy my perspectives on this issue. This entry was posted in Mexicali and tagged argentina as drug haven, argentinian crack, Buenos Aires boys, cocaine, crack, drug cartels, drug gangs, drug war, economic and political impact of narcotrafficking, failed drug policies, legislation, make room for paco, narcotics, summit of the Americas. Bookmark the permalink.